I will have one of these available in June 2019. Click through the Etsy checkout or contact me for details. This extra large jewelry box has plenty of space for all your treasures. Premium curly cherry from Pennsylvania, all made from one board. Rosewood pulls. This piece can be made from a variety of species/combinations. Contact me for availability. 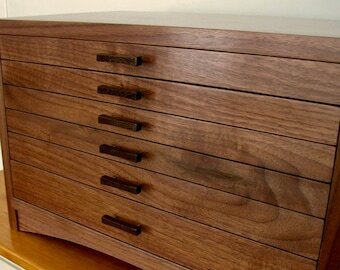 One medium drawer 1.3/4" ht. 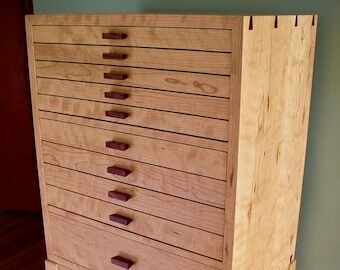 One large drawer 2.1/2" ht. 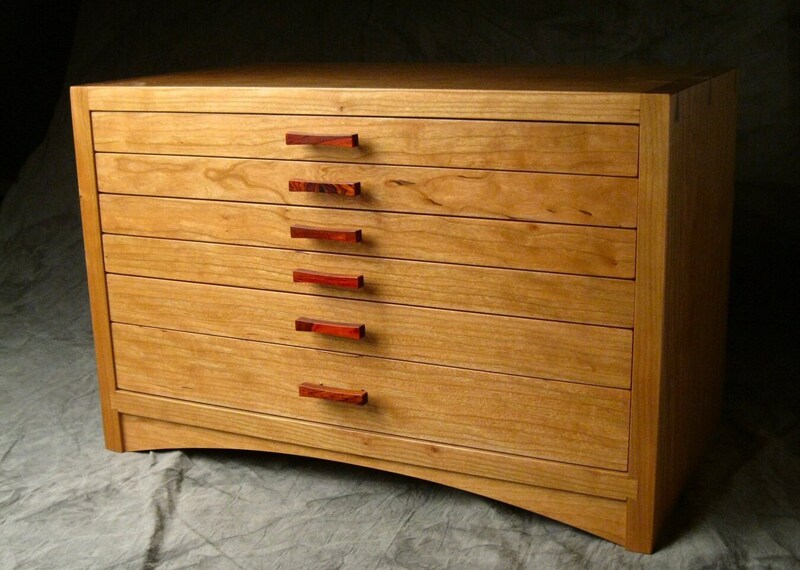 West Creek Studio has been making fine jewelry chests for 27 years. We ship worldwide.